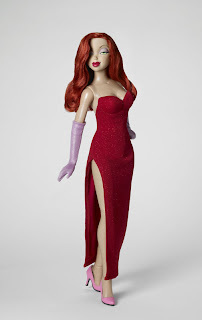 The Jessica Rabbit doll by Tonner is on sale at Entertainment Earth as part of their 15th Anniversary Sale. Receive 15% off this doll and other select merchandise. They originally had the doll for $149.99, and it is now available for $127.49 - which coincidentally is the same price I got it for because Entertainment Earth did a price match when I found it cheaper on another site. Still, if you didn't get the doll yet, you might want to pick it up now!